Well known and award winning Mr Green is a popular spot for online casino players. Claim your free spins upon sign-up on Mr Green. You’ll find the basic facts and more in-depth info here in this review. To make it easier for you to know what type of free spins you can claim on Mr Green. Make sure to browse to your country section here on FreeSpinsSlots.com. There you’ll find the exact amount of free spins that your country is enabled too. At the moment of writing Mr Green free spins is currently available to UK, Canada and Australia. You can say that there are three types of free spins. The once you’ll get when you sign-up, the once you’ll get when you make your first deposit and the once you’ll get for being an active player on Mr Green. You’ll get all of these types of free spins bonuses when signing-up via your country section. 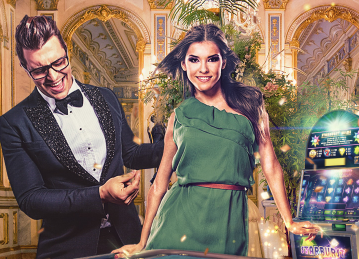 Established in 2008, charming Mr Green has quickly risen to become a premium online casino, serving their audience with a wide variety of offerings. The site has partnered with all the big developers in the industry, such as Net Entertainment, Wagerworks, and Betsoft. One can see their reputation by looking at the fact that they have been named the best online gambling website in Sweden for three years in a row by InternetWorld. Mr Green offers a wide selection of games, catering to every whim and every fancy of the people who visit the website. Some of their standout games include Pure Platinum, Them Park: Tickets of Fortune, Dolphin Tale, Tiger’s Eye, and Wheel of Fortune. They also offer all the table-based classics such as craps, baccarat, roulette, blackjack, and Caribbean stud poker. Then there are the more rare varieties that include Red Dog, 3 Card Poker, and Sic Bo. With their mobile casino, Mr Green has tapped into an audience that uses their smartphone and tablets more than they use a computer or laptop. The mobile version of the casino offers players the freedom to log in and instantly enjoy playing the games from just about anywhere. One of the advantages is that a player does not have to wait for the game to download; they can access it directly from the site. The online casino aims to provide the complete gambling experience right where a player is. They no longer need to visit a real casino when everything can be found on the website. Mr Green has made good on its aim by providing not just the usual video slots and table-based games, but also providing premium experiences such as a live casino, live tournaments, and even virtual horse racing. The live casino feature comes as close to the real deal as possible. It offers players a good break from the isolation and monotony that online games offer. Players can interact with other people and play with a live dealer, which definitely makes things more interesting. There is indeed a very social aspect to what Mr Green is trying to achieve. Players can participate in multi-player tournaments, where they can pit their skills against others in a live setting. Where Mr Green is trying to stand out from the competition is by taking the ‘game responsibly’ angle seriously. They offer players to cap a limit on their bets, which most other websites do as well. The difference here is that they provide the offer upfront. Mr Green has been attracting more and more players by offering generous bonuses, cash prizes, and free spins. They even have a loyalty points system that is accumulated by simply logging on. Based on the number of points, players are eligible to enter various cash draws.